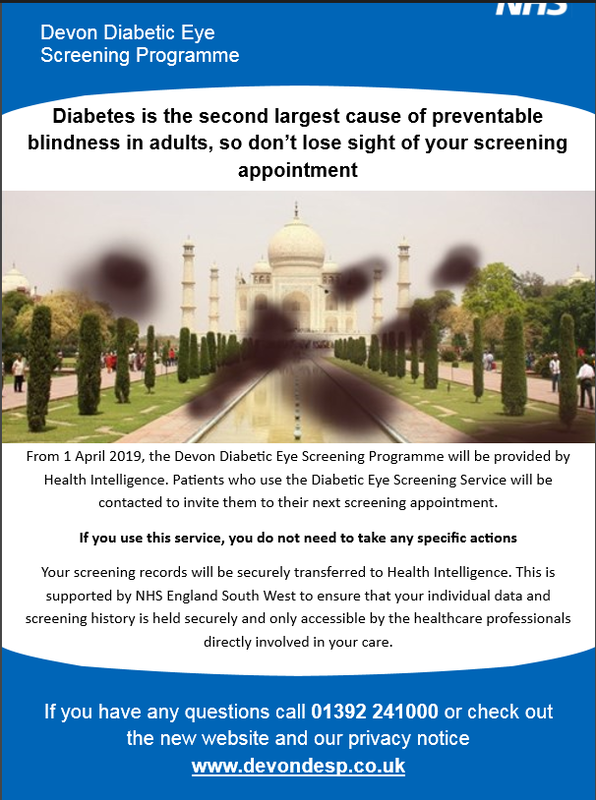 From the 1st of April 2019, The Devon Diabetic Eye Screening Programme will be provided by Health Intelligence. 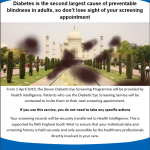 Patients who use the Diabetic Eye Screening Service will be contacted to invite them in to their next screening appointment. If you use this service, you do not need to take any specific actions.